A striking peppermint tea with a fresh, minty flavour; aids digestion and cleanses your palate. 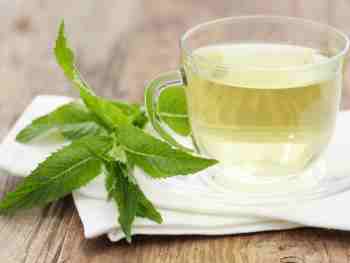 If you're an herbal tea drinker, there are a number of reasons to choose peppermint herb tea before you head to bed. Peppermint may provide you with numerous health benefits, but won't keep you up at night. If you love the taste of peppermint tea late at night, you're in luck. While many types of tea contain caffeine that can keep you up at night, peppermint herb tea is caffeine free. According to the studies, a cup of non-herbal tea generally provides 40 to 50 milligrams of caffeine, but peppermint and other herbal teas don't contain caffeine.